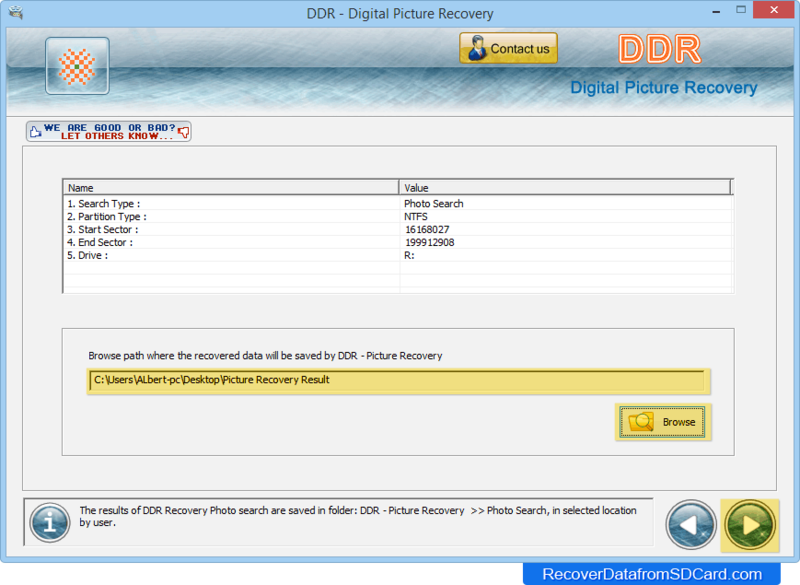 Browse the path where recovered data will be saved by DDR - Picture Recovery. Disk scanning process is in progress. If you want to stop recovery, click on 'Stop Search' button. 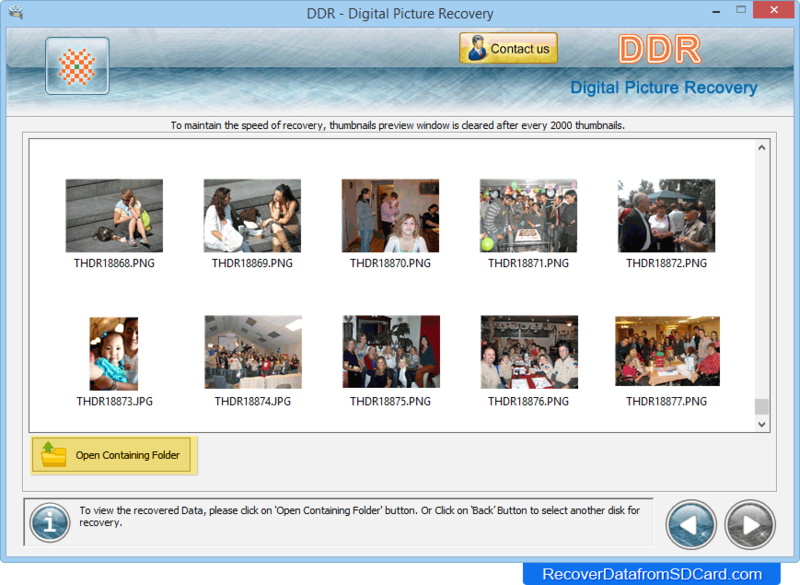 Open containing folder to view recovered photos. 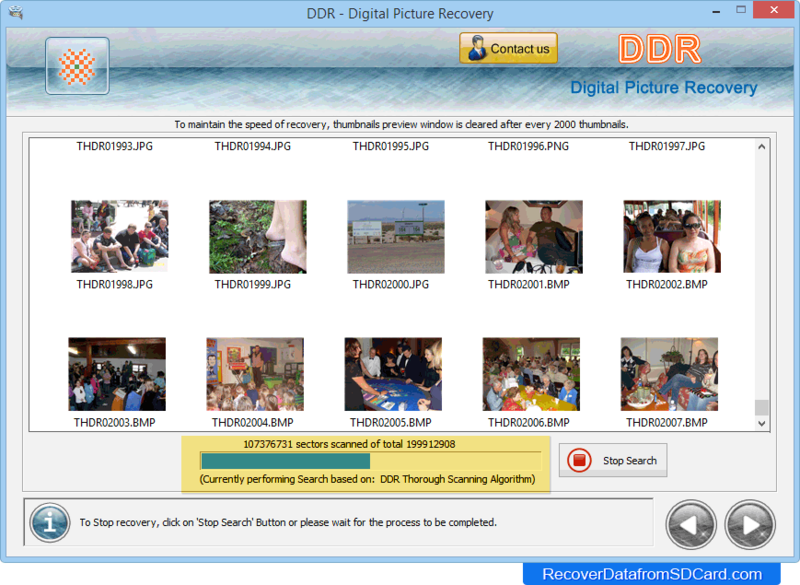 To select another disk for recovery, click on 'Back' button.